Is your current travel program working for you? Or is your business travel often booked ad-hoc or last minute? It’s important to continually assess if your business’ approach to travel is as effective as it could be and optimising your investment in travel. If your travellers are unhappy, it’s likely you’ll hear about it. After all, the best judge of whether your travel policy and process needs an upgrade are the people who are actually doing the travel itself. 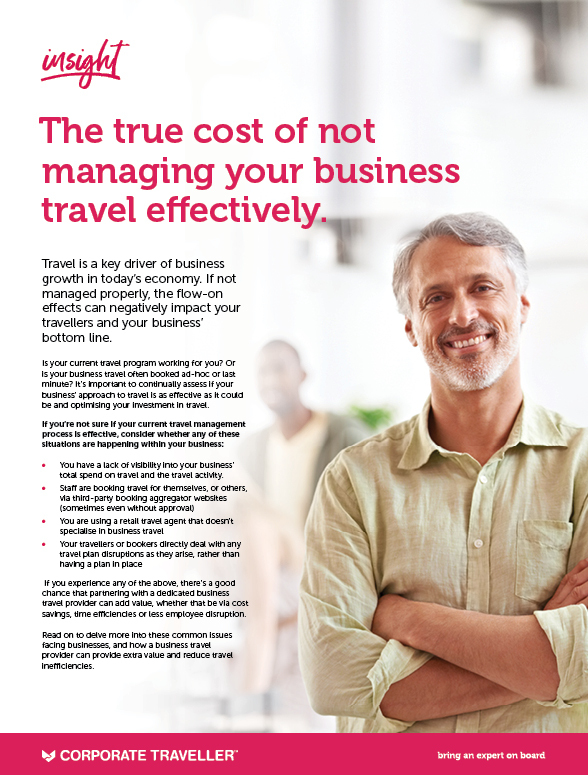 Download and read our eBook ‘The true cost of not managing your business travel effectively’ today to see what benefits your business may be missing out on.